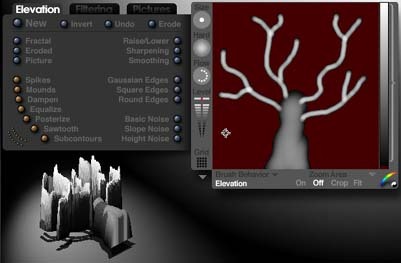 This explains step by step how to create a "realistic" tree in Bryce using two intersecting symmetrical lattice objects. Just how realistic your tree will look will depend on how you draw it, what materials you assign to it, and where you place it in your scene. 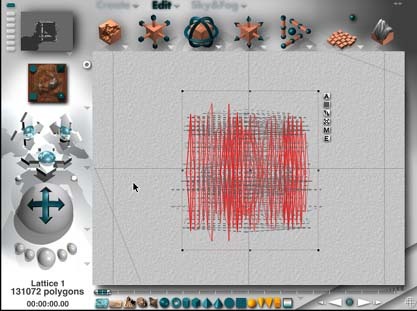 OK, to get this rolling, create a symmetrical lattice object: and then pop into the terrain editor for the lattice. Click 'New' to start with a clean slate. 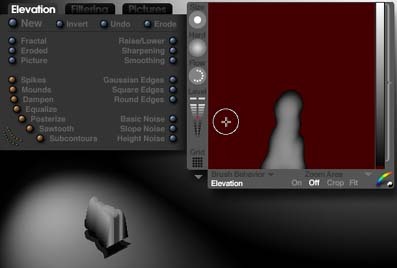 Before you start drawing, though, set the Grid size to 256, set your elevation color to a medium grey and make sure your brush size is about one tenth the width of the canvas. 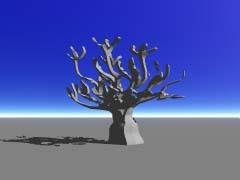 To paint the branches, make the brush size as small as it will go and set the elevation color to white. Don't draw too many branches or your tree will be too dense. 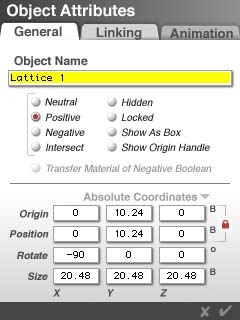 You need to set the object attributes of your first lattice so that it is BOOLEAN POSITIVE. Then, copy and paste your lattice object, thus creating Lattice 2. Set the object attributes for Lattice 2 so that it is BOOLEAN INTERSECT. OK, now look down from above and make sure that the two lattice objects are perpendicular to each other and cover each other as much as possible. Here is where the magic happens. Notice that before grouping the two lattices together, you have a vaguely cuboidal blobby thing. 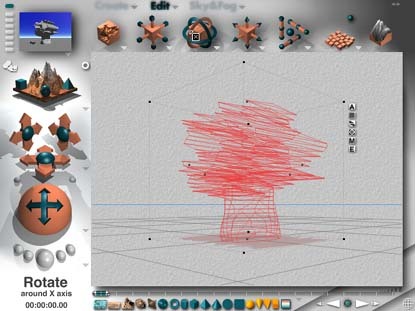 After grouping, the miracle occurs and it becomes a surprisingly tree-like shape! 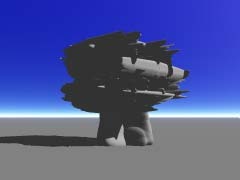 Copies of these scene files can be found on the Bryce 4 Content CD.